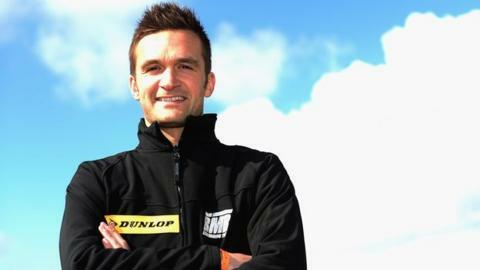 Colin Turkington kept his hopes of winning the British Touring Car title alive by winning the third race of the day at the Silverstone National. Turkington finished ahead of Rob Collard and Sam Tordoff and lies third in the series ahead of the final round at Brands Hatch in two weeks' time. Gordon Shedden leads on 325 points, with Jason Plato on 302 and Turkington third with 293. Turkington was fifth in the day's first race and eighth in the second race. The Volkswagen Team BMR driver has ground to make up in the final three races if he is to retain the title he won last year. Mat Jackson and Andy Priaulx were the other race winners on Sunday.